Today marks my first day at Survation having finished my internship at British Future yesterday. Survation has a close relationship with British Future – only recently my current employer conducted a piece of polling for my former employer. The results of this poll were explored in the report, Many Rivers Crossed. The recent Windrush scandal has brought greater media attention on what the public actually thinks about immigration. Last night Sunder Katwala, the director of British Future, appeared on Newsnight to talk about how the public has reacted to the scandal and what they want from a future post-Brexit immigration policy. Katwala talked about the research conducted by British Future alongside HOPE not hate for the National Conversation on Immigration. This involved researchers travelling across the UK conducting focus groups in 60 locations (ranging from small towns to cities). The interim findings of this project can be found here. During my time at British Future I was able to help conduct two of these focus groups and attended one other, as well as transcribe the recordings of several others. As Katwala said on Newsnight, the majority of the public are ‘balancers’ who see positives to immigration (such as migrant NHS workers) but who are also concerned about the pressures brought on by high levels of immigration. The majority of those polled by Survation (75%) also believe it is important to separate concerns about immigration from prejudice based on the colour of someone’s skin or where they come from. In particular the Windrush scandal introduces complications to the public’s views on immigration. 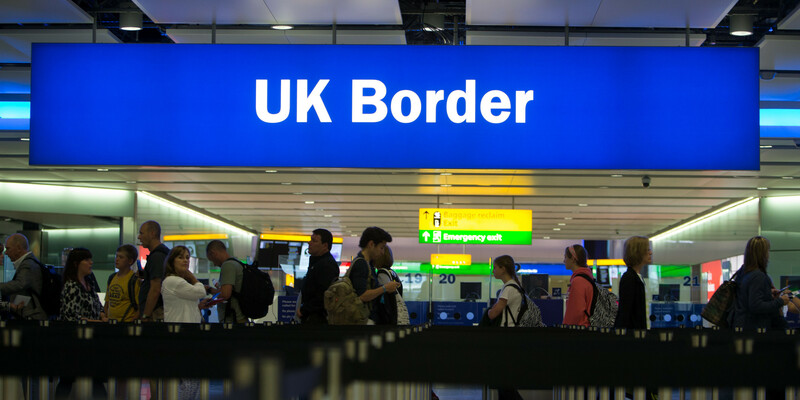 The majority of the public are against ‘illegal’ immigration but the Windrush scandal has given a human face to migrants who are caught up in the Government’s attempts to clamp down on illegal immigration through its ‘hostile environment’. During the National Conversation the members of the focus groups were given a true story of an undocumented migrant and had to decide how the Government should treat this person (should they be deported or given the right to remain for example). Interestingly the public often pragmatically weigh up their decisions using economic and moral arguments and the findings can be surprising. The Windrush scandal has once again highlighted that the Government and politicians need to better understand what the public actually thinks about immigration before creating a post-Brexit system. I myself look forward to learning more about public attitudes on a wide variety of topics during my time at Survation.